Could a German Shepherd be the right dog for you? The German Shepherd Dog (Alsatian or Schafer(hund)) is an intelligent breed of dog. Because they are eager to please, they are easily trained in obedience and protection. The German Shepherd Dog is a large, strong, substantial-looking dog. Ever since Rin Tin Tin became a famous television personality, the German Shepherd has gone from an already popular dog breed to one of the most well known breeds on earth. This versatile dog breed seems to be everywhere that a dog can be of help, from war torn countries to areas where natural disasters have occurred. The powerful German Shepherd will strike terror in the hearts of criminals one minute and endure the overly affectionate attention of little children the next. The German Shepherd is a fairly large dog, weighing from sixty to seventy five pounds and standing twenty two to twenty six inches tall. This breed has erect ears, dark, intelligent eyes, and a graceful tail. The German Shepherd is most commonly black and tan, although gray and tan or black and gray dogs are also available. A striking all white dog, commonly called an Alsatian, is popular with many people. If you like the look of the Alsatian, be sure you meet the puppy's parents, as these white German Shepherds can sometimes be a bit high strung. Although German Shepherds are high energy animals, they can live in the city. Just be aware that you will have to exercise your dog frequently and that he will be miserable if you leave him alone for long hours without giving him a job to do. Of course, a house with a big yard in a rural area is ideal. Since your German Shepherd will rapidly grow into a big, powerful dog, you may want to enroll him in obedience classes while he is a puppy. It is much easier to control a small puppy than a full grown untrained dog. In addition, puppy obedience classes also help provide another important benefit for your German Shepherd puppy, socialization to other dogs and people. Many people who own these intelligent dogs make the unfortunate mistake of thinking that their dogs need to be trained as guard dogs. However, this training can lead to aggression if your dog is not trained properly. 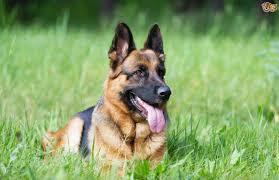 Since German Shepherds are naturally protective, they do not need attack dog training to guard your home. The German Shepherd's coat requires very little grooming. The dense coat is coarse and does not mat easily. Brush your dog once a week to remove dirt and debris. If you live in the city, concrete will probably wear down your Shepherd's nails. 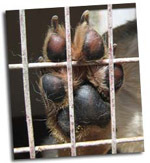 However, if your dog lives in a rural area he may need to have his nails trimmed several times a year. This loyal, smart breed commonly suffers from hip dysplasia or epilepsy. To see one of these dignified dogs suffering from either disease is heart breaking. Please be sure that your puppy's breeder has had the parents tested to be sure they do not carry these diseases. German Shepherd Dogs are often used as working dogs in many capacities, including search and rescue, military, police or guard dogs. They are also used as assistance dogs or service dogs (such as guide dogs). Clive Chansa writes for the Dog Care Guide at http://www.dog-care-help.com/ and the Pet Care Supplies Uk website at http://www.pet-care-supplies.co.uk/ which offers a wide range of pet products and supplies. There are fabulous German Shepherds in rescues all over the world. Obviously I can't list all of them. To find a rescue in your area type Alsation or German Shepherd rescue plus your location into Google. Be specific about your area. e.g. German Shepherd Rescue Alabama.